It’s time to banish those winter doldrums and reclaim the healthy glow that goes hand-in-hand with springtime. The Three Custom Woman, at any age, glows from within like she’s fresh of the slopes, just out of her yoga class, or after a day at the beach. Ever wonder how to get a healthy glow without working out? Lip & Cheek Stain, that’s how. Our array of beautiful, wearable shades are designed for all skin tones. 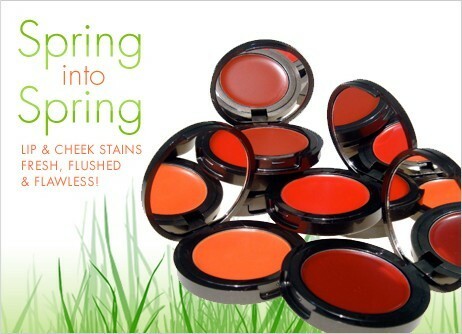 Better yet, these two-in-one gems are easy to apply, portable and give a dewey, long-lasting glow to lips and cheeks. What more could a girl ask for? Designed for Cool skin tones, just a dab of this this clear petal shade on the lips and cheeks will brighten a dull (and exhausted!) face. Great for anyone on the go! Designed for Warm skin tones, just a dab of this this petal shade with a touch of peach on the lips and cheeks will brighten a dull (and exhausted!) face. Great for anyone on the go!